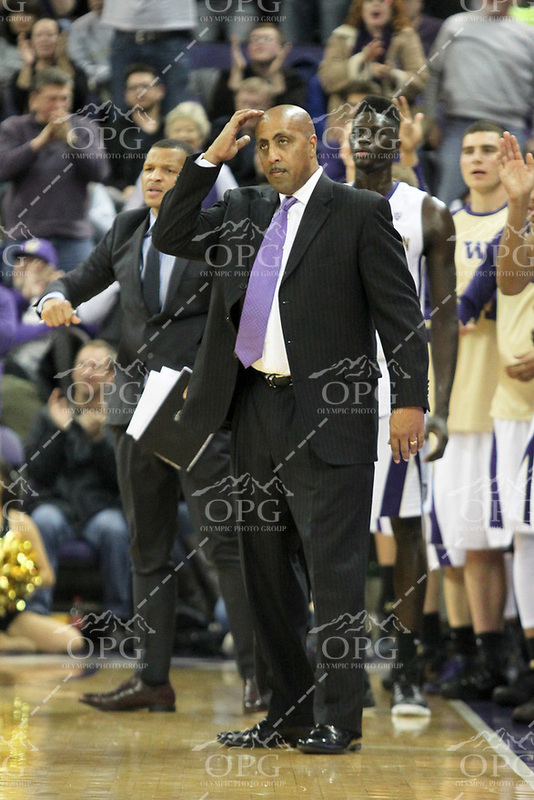 JAN 1, 2016: Washington head coach Lorenzo Romar against UCLA. Washington defeated #25 ranked UCLA 96-93 in double overtime at Alaska Airlines Arena in Seattle, WA. © Olympic Photo Group |CONTACT |The galleries listed on this website have the following photos in them (Graduation, Gymnastics Meets and Teams, High School Sports and Teams, Middle School Sports and Teams, Youth League Teams - Game Action, Dances and Photo Booth, Panoramic’s, Portraits Senior-Family-Exec, Wedding and Engagements, Community Events, Tournaments, Semi-Pro - College Sports, Commercial and Product Samples - Backgrounds) photos in these galleries can be purchased on our website, over the phone 360-447-8318 or in our studio 3492 NW Byron St Suit 102, Silverdale, WA 98383.